Volleyball rules are the rules for volleyball. The Fédération Internationale de Volleyball (FIVB) publishes rules for the volleyball game. 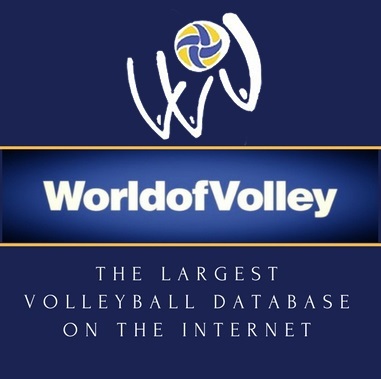 Download the latest official volleyball rules. Volleyball is a sport played by two teams on a playing court divided by a net. There are different, versions available for specific circumstances in order to offer the versatility of the game to everyone. The object of the game is to send the ball over the net in order to ground it on the opponent’s court, and to prevent the same effort by the opponent. The team has three hits for returning the ball (in addition to the block contact). The ball is put in play with a service: hit by the server over the net to the opponents. The rally continues until the ball falls on the playing court, goes “out” or a team fails to return it properly. In volleyball, the team winning a rally scores a point (Rally point system). When the receiving team wins a rally, it gains a point and the right to serve, and its players rotate one position clockwise. There is more than one way to hit the ball, however, the three main ones are the bump, set, and spike. Along with restrictions of course, restriction include physical contact with the opposing team with a violent intent. A ball touching the net will remain in play until grounded, or exceeds the three hit limit.